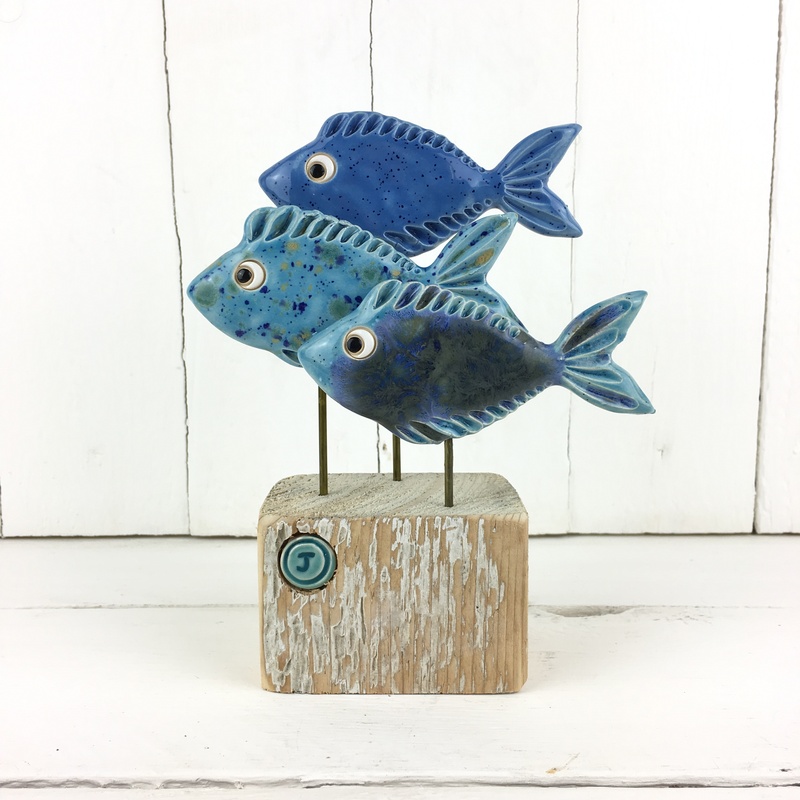 A trio of delightful navy blue and turquoise ceramic fish, prettily hand painted with a funky wave pattern and mounted of a driftwood block inset with a bright turquoise J button of authenticity. 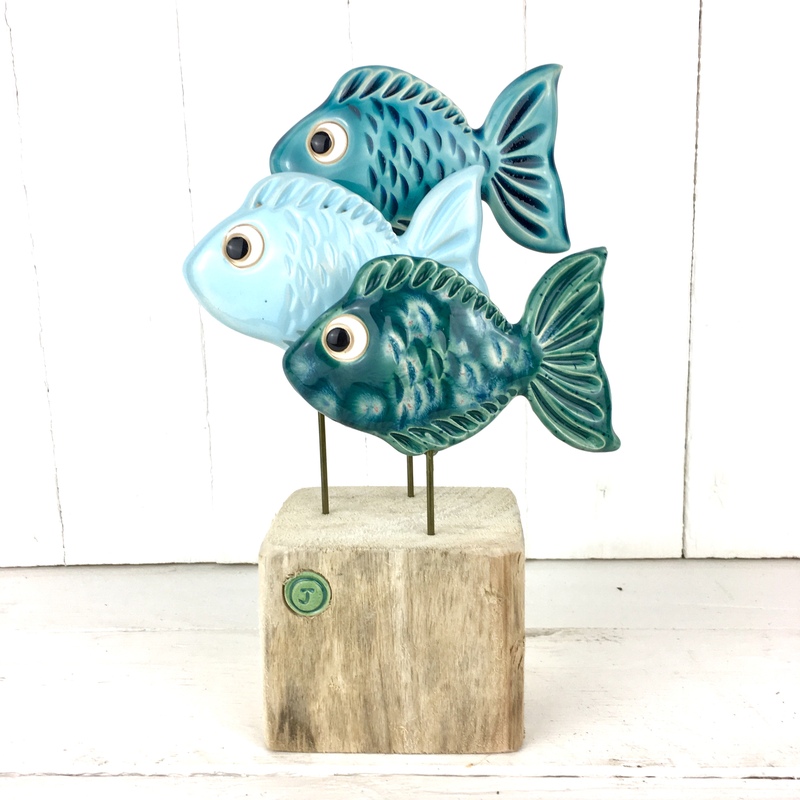 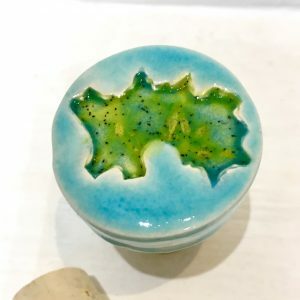 A trio of delightful ceramic fish, each fish is hand painted with a different blue or green glaze giving it a unique pattern. 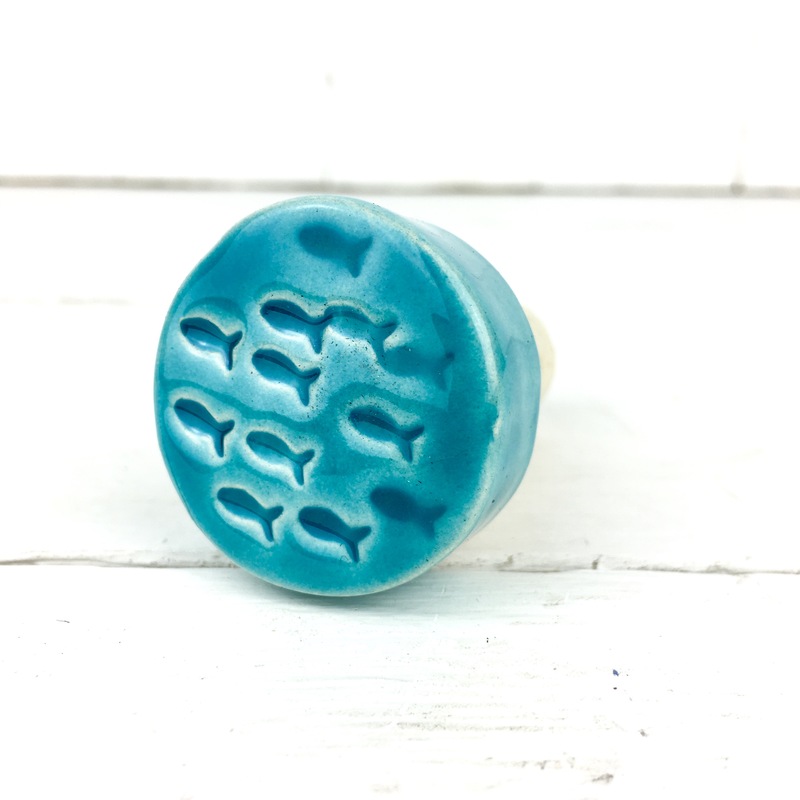 They are mounted of a driftwood block inset with a green J button of authenticity. 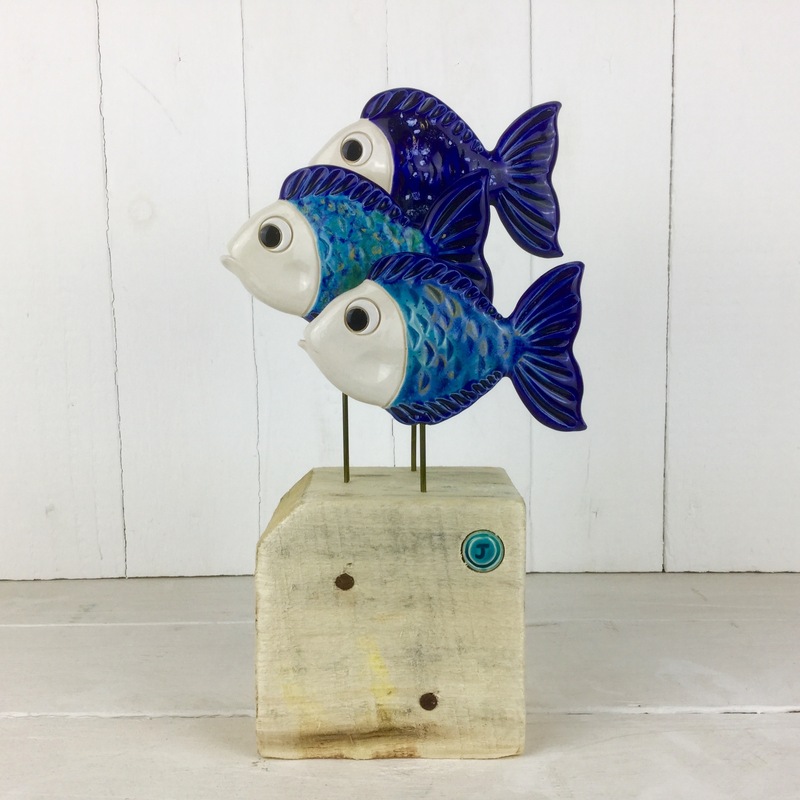 A trio of delightful blue ceramic fish, each fish is hand painted with a different crystal blue glaze giving it a unique pattern. 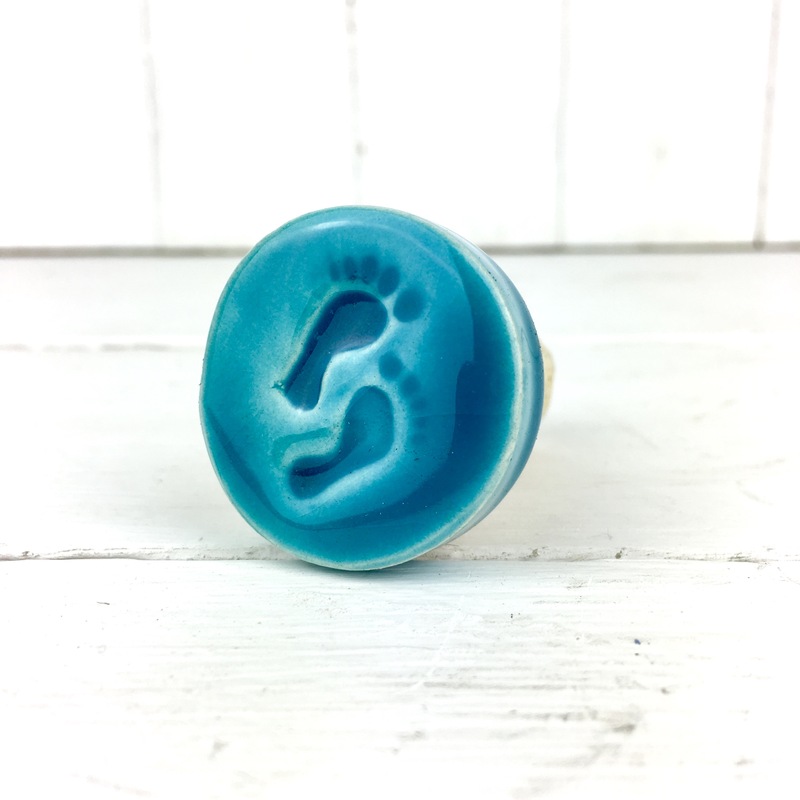 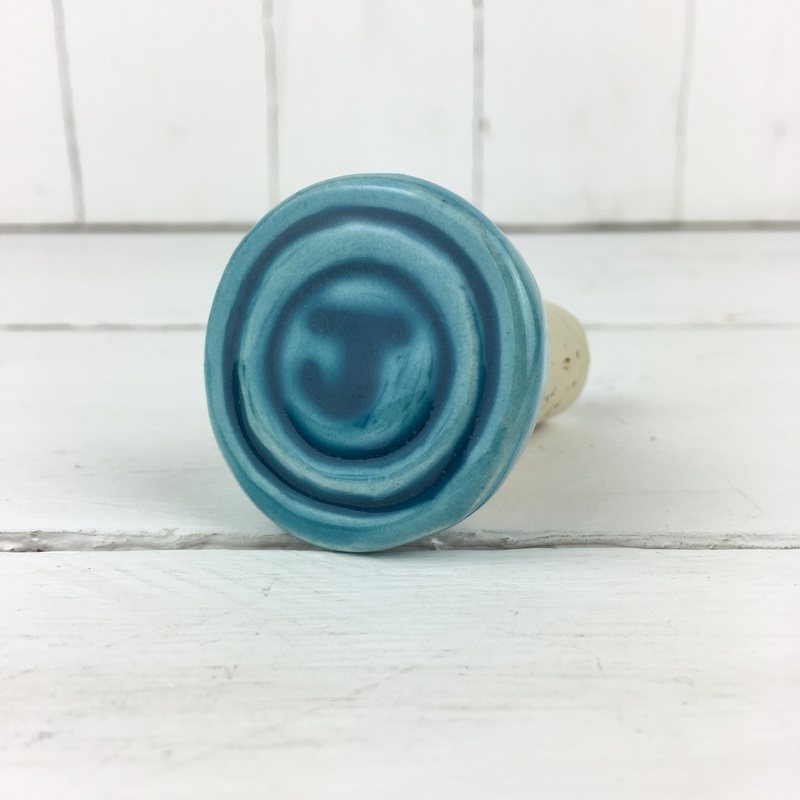 They are mounted of a driftwood block inset with a bright blue J button of authenticity. 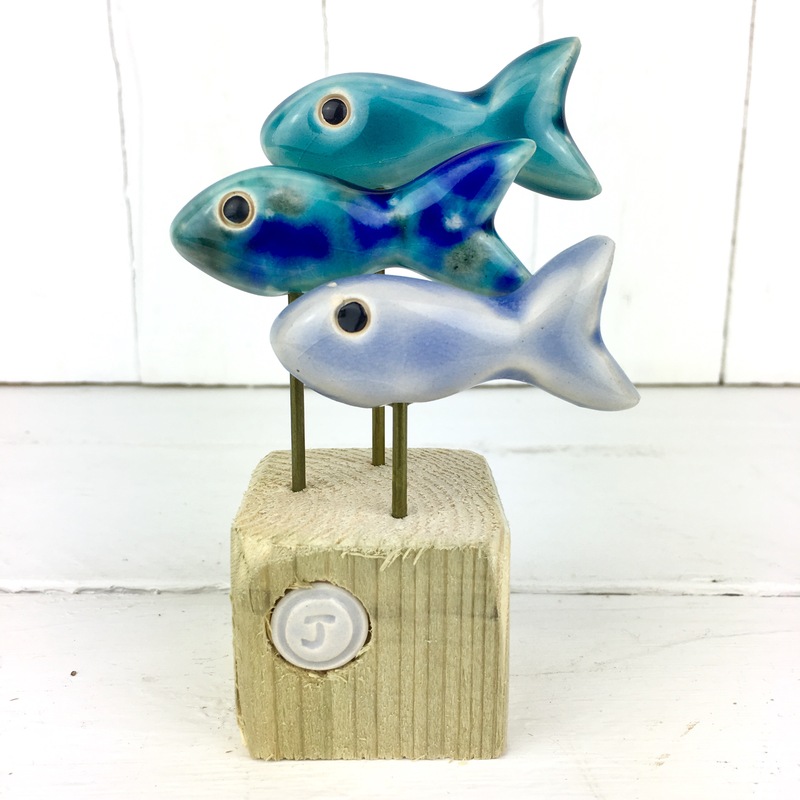 A small trio of three fishes, happily swimming together, painted in 3 different blue glazes, with a blue J button which compliments this fabulous piece. 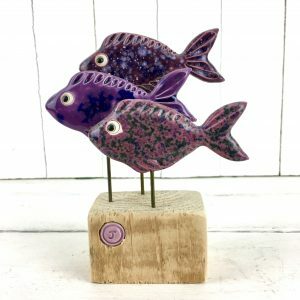 A small trio of three fishes, happily swimming together, painted in 3 different purple glazes, with a purple J button which compliments this fabulous piece. 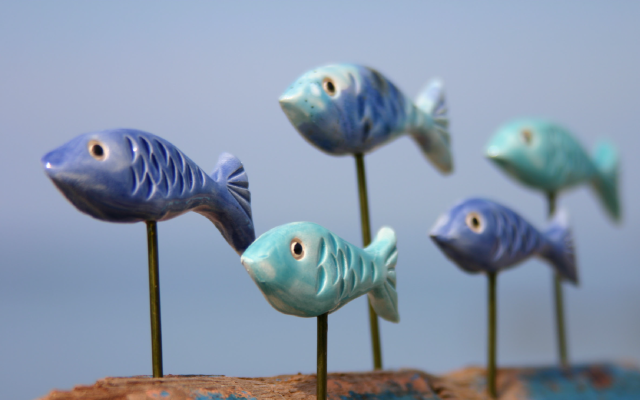 A trio of delightful turquoise ceramic fish. 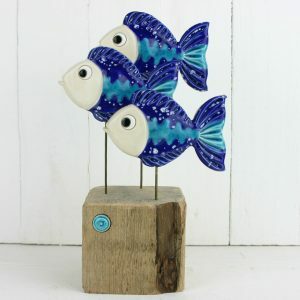 Hand painted in a deep crack glaze and mounted on a driftwood block inset with a blue ceramic J button of authenticity. 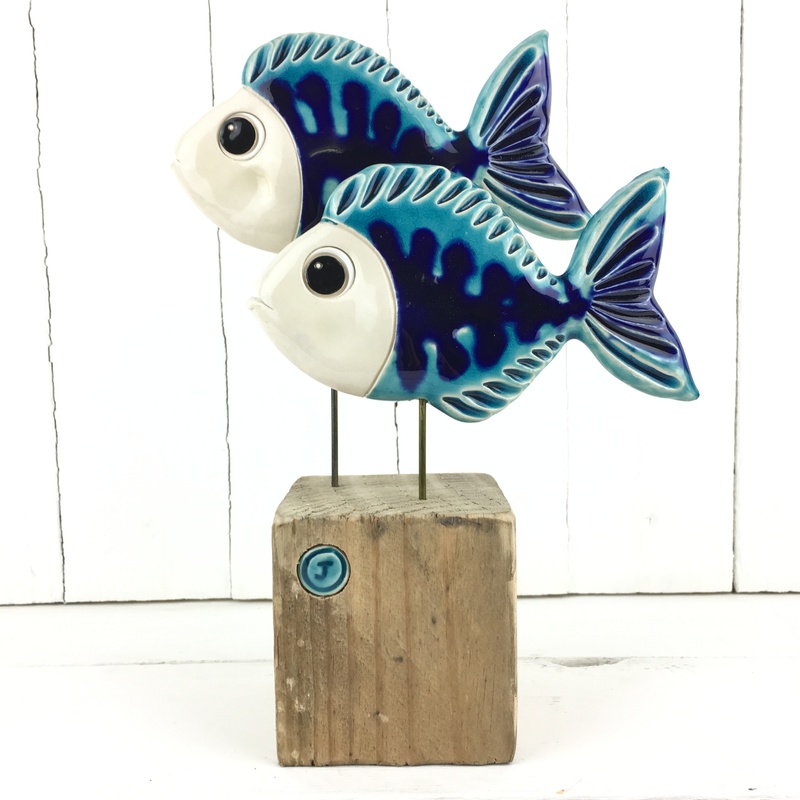 This colourful and bright duo of fish in contrasting tones of blue would make a great addition to any home.